With the departure of Gary Cohn from the White House National Economic Council earlier this week, influential economic commentator and nationally syndicated columnist Larry Kudlow is set to become President Trump’s new top economic advisor. An official announcement about Kudlow’s appointment is expected on Thursday. So who is Larry Kudlow? And what role would he likely serve in the Trump administration? Born in 1947, Kudlow grew up in the northern New Jersey suburb of Englewood, just a short drive away from Upper Manhattan. As one of only two Jewish students at a local private school, Kudlow showed an early interest in current events when he served as the editor of its student newspaper. In spite of his family’s staunch support for Republican causes, Kudlow became an industrious anti-war student activist during his studies at the University of Rochester in the late 1960s. In fact, as a member of the Students for a Democratic Society, a prominent “New Left” group infamous for its radical politics, Kudlow’s work organizing protests against U.S. participation in the Vietnam War earned him national attention as one of the subjects of a 1969 New Yorker profile piece about anti-war activist leaders. Following his brief stint as an activist and a short period studying politics and economics at Princeton University’s Woodrow Wilson School, Kudlow got his first full time job as a junior economist at the New York Federal Reserve. This served as the real starting point for much of his future life ventures, as Kudlow used his position at the Fed to launch a career on Wall Street. As part of that career, Kudlow worked for some of the nation’s then-top investment firms, including Bear Stearns and Paine Webber. Bear Stearns hired Kudlow in part because of their admiration for his prolific pro-free market commentary in the press, and they were apparently not the only ones to notice this. Not long after Ronald Reagan’s ascendance to the presidency in 1980, Kudlow joined the White House as the associate director for economics and planning at the Office of Management and Budget (OMB). Along with OMB director David Stockman, Kudlow helped preside over a period of much-needed economic resurgence after years of stagnation, unemployment, and inflation during the late 1970s. As a close ally of people like then-New York Congressman Jack Kemp and economist Arthur Laffer, Kudlow was a strong proponent for lowering deficits and government spending as a way to stimulate economic growth. In 1983, Kudlow left the Reagan administration to go back into the private sector, but he never left the realm of politics. 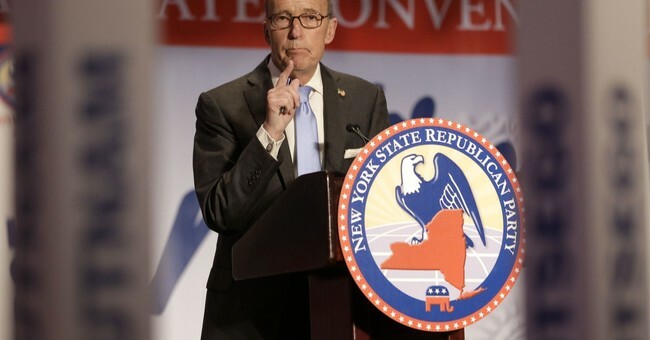 After exiting from another gig at Bear Stearns in 1994 due to his struggles with cocaine and alcohol addiction and severe job-related stress, Kudlow successfully shifted to a full-time career as a financial and political commentator. As a senior contributor and host on CNBC and a contributing writer and editor at National Review, Kudlow has been a lively source of commentary and debates on the national stage over the past couple decades. "I'm looking forward to serving the president," he said. "The way I was brought up in the Reagan years, you talk it out and you argue it out, but once the president has made a decision, that's it. My job is to execute. You don't go through these endless bureaucratic things and delays. The National Economic Council is in some ways an information broker and I look forward to that role."